The first and main thing to remember is to put one little bite in each because the sections are so small. This keeps it underwhelming for the child. The trick is to work from left to right and start from the top. In the first section, start with a highly-preferred food, something your child enjoys and has no problem eating. The next section should be a semi-preferred food. This is something new that you think they are capable of tasting; they have the motor skills but are a little hesitant. The third section should be a treat, like an M&M. With this third section being a treat, you must not bribe with the treat but use it as a tool to help them try the semi-preferred food. Starting with the highly-preferred food is used as a boost to get the game going. After the treat, the order should go: semi-preferred, highly-preferred, semi-preferred again and then the treat. Every section has a highly-preferred, a treat, and in-between is the semi-preferred food. If your child is hesitant or is lacking fine motor skills, yet they want to try a lot of different tastes, try to add cute toothpicks or fancy cupcake toppers. 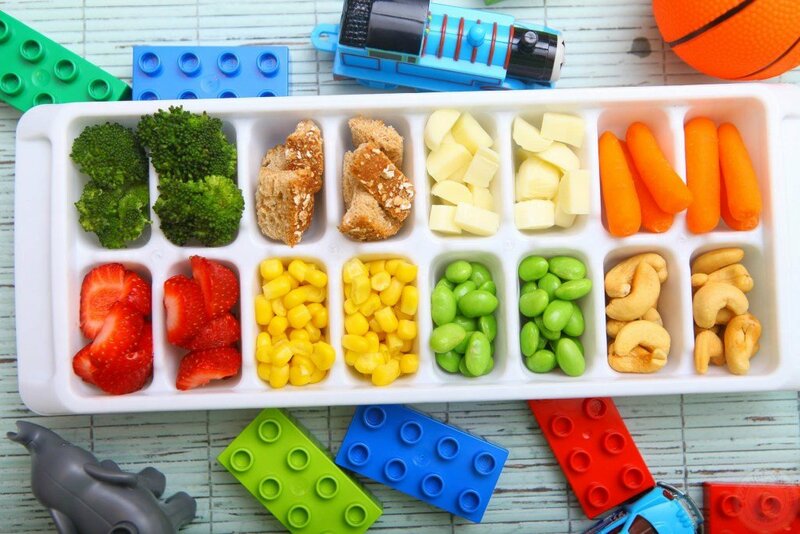 This makes it more fun for the child to try the foods you are trying to introduce. Another way to make this more fun, is to pair it with a game of their choice. When they try a semi-desirable food, give them a turn at the game that they chose. If they are having trouble trying the semi-desirable food, don’t worry about it. It it more about continuing to present something fun that is underwhelming. They will get better over time. If they always stop at the third section, try moving the treat to the fifth section. For a more detailed description please head here to watch Melanie Potock explain.